The long wait for Xiaomi’s Indian fans is coming to an end. For those who were anxiously waiting for the Mi3 to make a return for a Flipkart flash sale, this might be a bit disappointing. But for those who were eyeing the Mi4, it’s time of a happy dance. In an exclusive interview with Indian Express, Xiaomi’s India Head Manu Jain, said that the company would be bringing the Mi4 to India on the 28th of January. 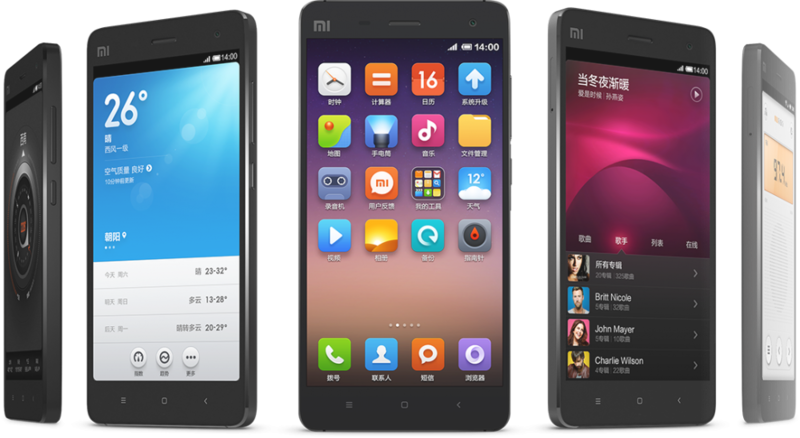 The Xiaomi Mi4 flaunts a 5-inch Full HD IPS LCD display. Its processing might comes from a 2.5 GHz quad-core Snapdragon 801 processor and possesses 3 GB of RAM. The device is available in 16 and 64 GB variants. It is powered by a 3080 mAh battery. The Mi4 sports a 13 MP main camera and an 8 MP front camera and the device runs on Android 4.4.3 KitKat operating system. The price of the device is expected to be around Rs 20,000. So if you were waiting for the Mi3 and had saved for it, you have about nine days to gather the rest of the money before the stampede begins. common guys be fare. if you want own newest of the technology available in the market, you should also be ready to shell out huge amount of money. one of the reason that xiaomi is pricing its devices very low is the established manufacturing units of the technologies used in their devices and so less price. could be prices 15k as lenovo and huwali honor 6 are already cheaper 4g phone selling hot in india. R u nuts? check the specs first and then compare..